Ceramics is the central vehicle of expression for sculptor Kim Simonsson (b. 1974). Simonsson uses clay and glass to model his figures, materials that are still rarely used in contemporary sculpture. 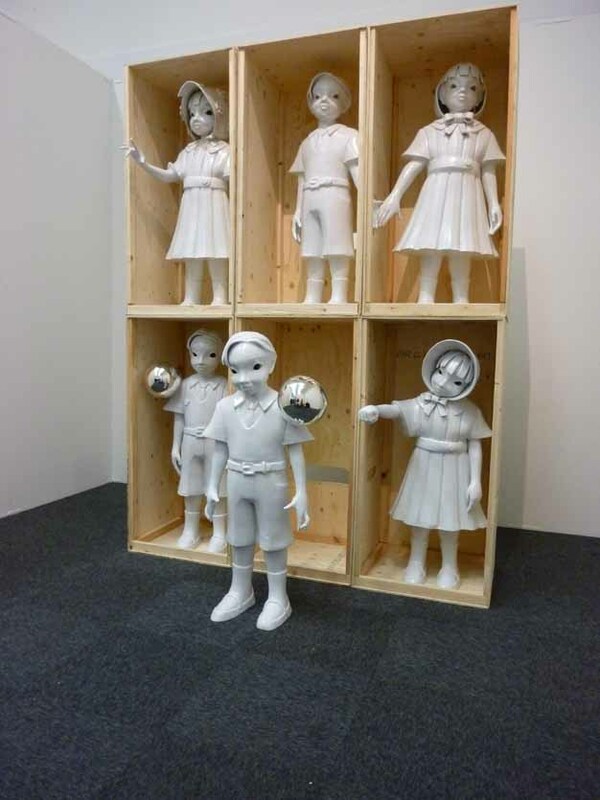 Simonsson's nearly life-sized figurative sculptures of children and animals have been influenced by the imagery and visual idiom of Japanese manga.